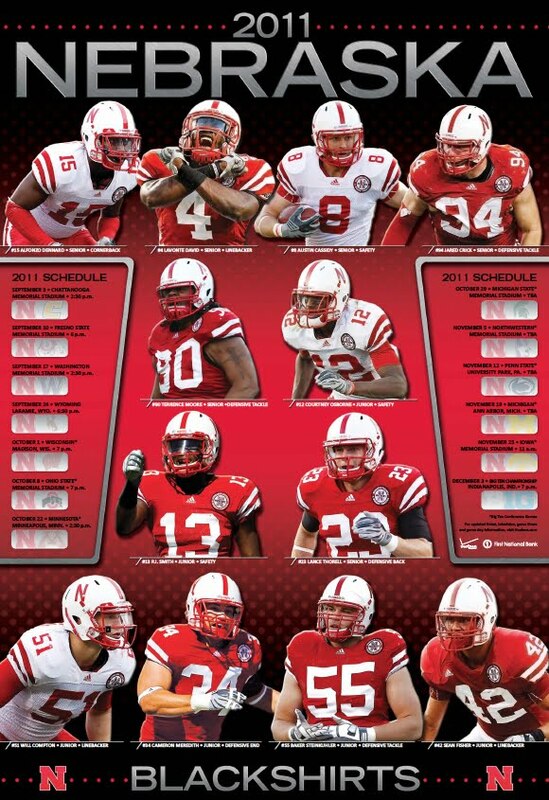 Nebraska produced two posters, one for the defense, top, and one for the offense. The Cornhuskers have a new coach in Mike Riley, who replaces Bo Pelini. It's a bit of a risk considering that Pelini won nine or more games each of his seven seasons as coach. Only Alabama and Oregon can match Nebraska's streak of winning that many games each season since 2008. Now it is Riley's turn to keep the streak alive. The Cornhuskers open against Brigham Young on Sept. 5. USC's Song Girls were front and center during Saturday night's Holiday Bowl in San Diego. The Trojans held off Nebraska, 45-42, for their ninth victory. Images are courtesy of Image of Sport. For the complete gallery, click here. Who will be the coach of the Nebraska Cornhuskers for the 2015-2016 season? Bovada has Oregon assistant Scott Frost at the top of the odds at 5/2. He is followed by former Tampa Bay Buccaneers and Rutgers coach Greg Schiano at 15/4 and Ohio State assistant Tom Herman at 4/1. We're not sure who would get caught in public looking like this, but Wiz correspondent Greg Laughlin found this couple outside Memorial Stadium in Lincoln on Friday. They were no doubt smiling after Iowa beat Nebraska, 38-17. 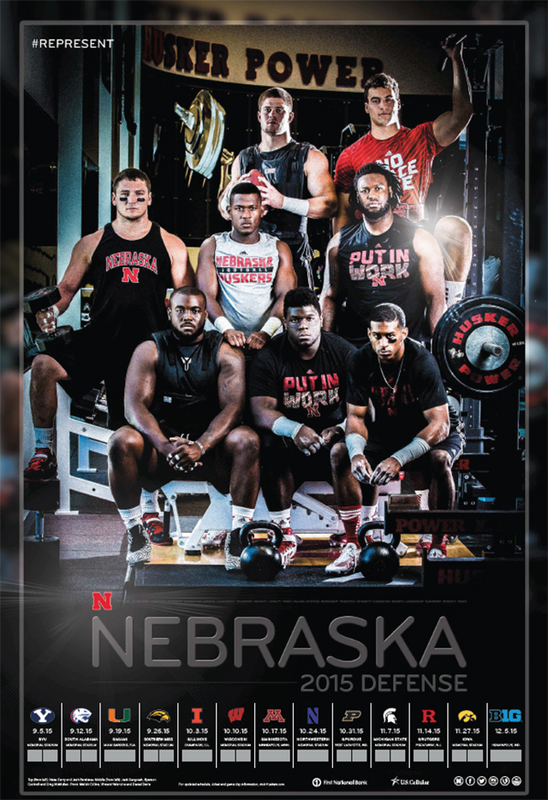 Editor's note: This post was written by Paul Martin, a longtime observer of the Nebraska Cornhuskers. The Big Ten welcomed Nebraska officially this summer, but the schedule that came with it isn’t so welcoming for the Cornhuskers. Their initiation into the conference comes against Wisconsin at Camp Randall in Madison on Oct. 1, and it doesn’t get much easier from there. They play Ohio State the next week in Lincoln, where they also will play Michigan State and Iowa. Road tests at Michigan and Penn State in November will tell much of the story about where the Huskers are in Bo Pelini’s fourth year. 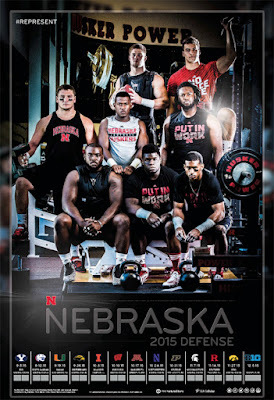 Another solid Pelini brothers defense is likely to keep Nebraska in every game, but make no mistake about it: The growth of sophomore QB Taylor Martinez and his ability to stay healthy behind a young offensive line will write the story in 2011. Click the image to enlarge. Thanks to Annie and Michael. Is Nebraska quarterback Taylor Martinez's association with the apparel company Corn Fed a violation of NCAA rules? Cornhusker officials say no, but they also severed their licensing deal with Corn Fed on Wednesday after the Wiz presented information to officials that tied Taylor to the family business. The licensing deal was first reported on Dec. 29 by the Los Angeles Times. The report said that Casey Martinez, Taylor's father and owner of Corn Fed, and Nebraska had agreed to the deal in 2007, about a year before Taylor committed to play for the Cornhuskers. NCAA officials said at the time the agreement did not violate any rules. However, a week after the L.A. Times report, the Wiz learned that "Corn Fed" was a registered trademark with the United States Patent and Trademark Office. The last listed owner was Taylor Martinez. In addition, the domain CornFed.com was registered to Taylor Martinez. The domain has been made private in recent days, but a copy of the original document containing Taylor's name is included at the end of this post.